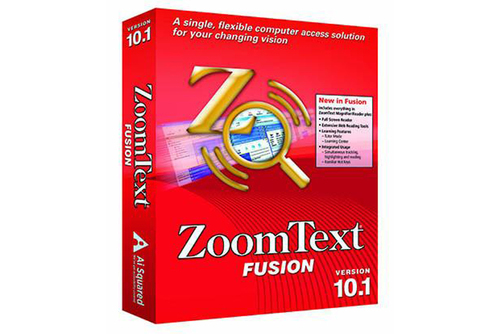 ZoomText Fusion is a software package for computer access, specifically designed for those with vision loss. 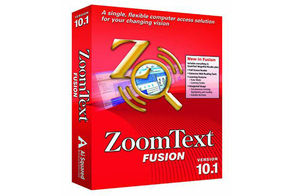 It combines ZoomText software with its screen magnification and visual improvements for screen viewing, and Jaws software for screen reading. It is a fully integrated screen magnification program that enlarges, enhances, and reads everything out loud on the computer screen.